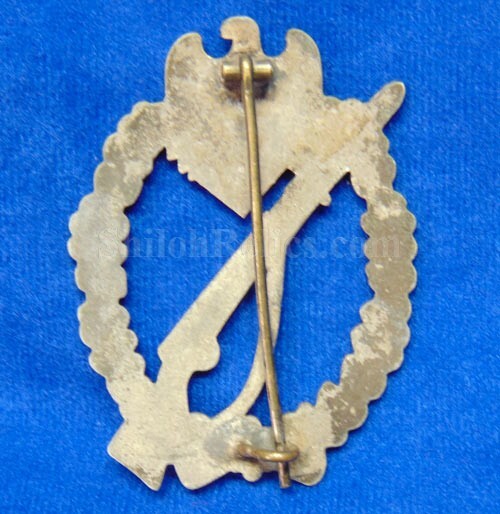 This is a original German Infantry General Assault badge. 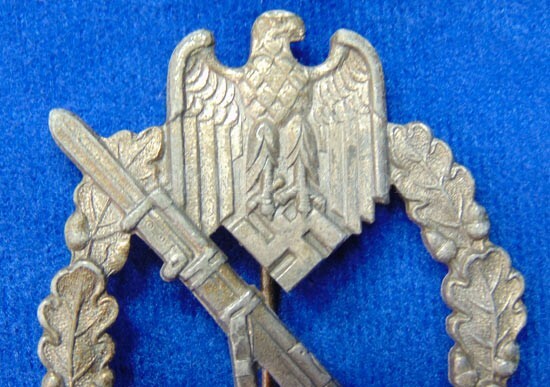 These were issued to the regular German fighting men of the infantry during WWII. This one is in very good condition as you can see. 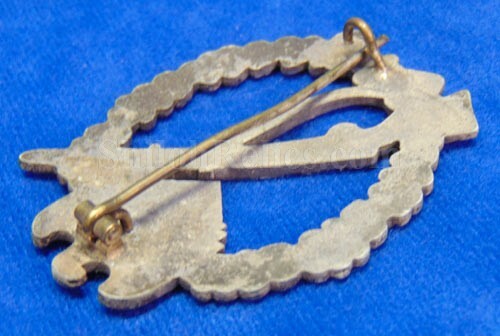 It has the original needle pin-back attachment present on the reverse. These were designed by Ernst Peekhaus of Berlin. 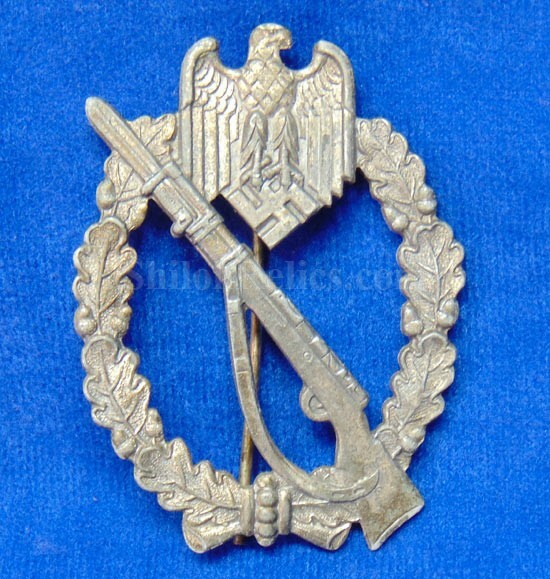 The badge was instituted on June 1st 1940. 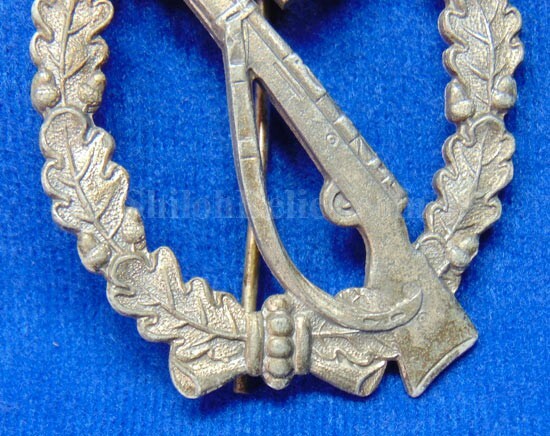 At conception, the badge was intended as an engineer's assault badge, however, it was redesignated to include members of the artillery, anti-tank and anti-aircraft units that served under infantry and armour units. This piece displays well from all angles.